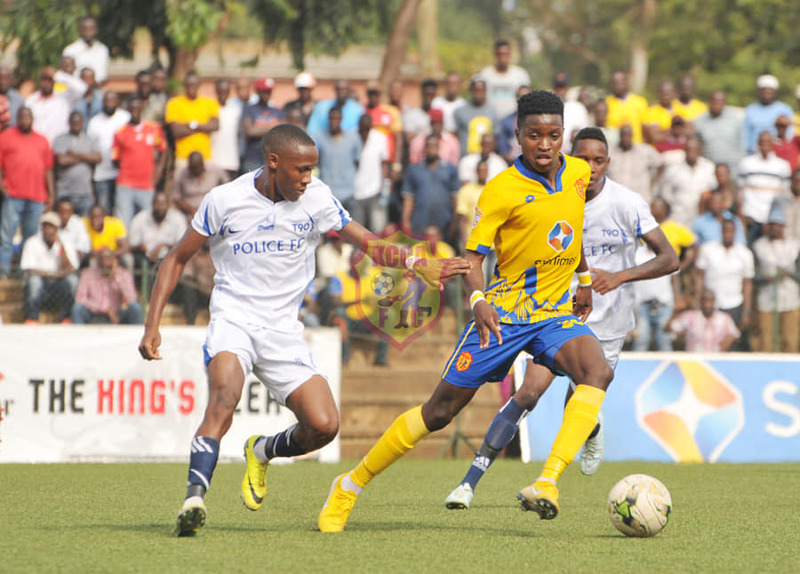 KCCA FC missed out on a chance to go 9 points clear at the top of the StarTimes Uganda Premier League as they were held to a 1-1 draw away to Police FC. Mike Mutebi’s side who knew a win would see them put daylight between themselves and second placed Vipers, started strongly, taking the lead inside two minutes through Mustapha Kizza. The Police faithful who witnessed their side lose 6-3 to KCCA in the first round feared the worst for their side but Abdallah Mubiru’s side were equal to everything the Kasasiro’s threw at them in the proceeding minutes of the first half. In the second, like it was in the first game, Police took the initiative and asserted their authority, dictating the tempo and creating several opportunities. However, their reward would come later rather than sooner with in-form striker Juma Balinya finishing coolly to level matters with just 6 minutes left on the clock. Despite relentless attacks by either side to try and find the winner, the respective defences stood firm to ensure a draw at the end of 90 minutes. The draw sees KCCA move onto 45 points, 7 clear of Vipers who host Bright Stars on Friday afternoon. For Police, they remained 8th on the log with 28 points from their first 20 games of the season. At Namboole, URA returned to winning ways thanks to a 2-0 win over Kirinya JSS. Sam Simbwa’s side had not won in any of their previous two games prior to Thursday but got off to a scintillating start as Captain Shafik Kagimu put them 1-0 up inside three minutes. With Kirinya attacking relentlessly, URA who have the best defence in the division held on to go into the break holding a slender one goal lead. Four minutes into the second half, Kagimu double his and his side’s tally with a second goal on 49 minutes. Kirinya who looked dejected and lifeless after the second goal could only look on as URA took all three points on the day. The win ensures that the Tax Collectors climb into 4th on the standings with 32 points. For the Students, they remain 11th having gathered 24 points from 20 games. In the game played in Zombo, Paidha Black Angels who were making their long awaited return to the Borokoro Stadium did not disappoint their fans, defeating Nyamityobora 2-0. Going into the game with only one League victory all season, the Blacks who looked inspired from the word go, took the lead on 14 minutes through on-loan Venom Dickson Okwir. Okwir would later double his tally on 64 minutes to ensure his side win a second game of the season and hopefully kick-start their charge to fend off relegation. The win earned on Thursday sees Paidha climb off the foot of the table for the first time since the opening month of the campaign. They now have 12 points, level with bottom side Nyamityobora but with a slightly better goal difference.